I assume that since you're here, you've been looking for a way to make it easier to manage your Excel Dashboards. You want to focus on presenting the data, and don't want to waste time organizing your workbook. The Contextures Excel Dashboard Tools can do those time-consuming tasks for you. This Excel add-in helps you manage and format your Excel Dashboard. For example, select several worksheets and hide or protect them all at once, instead of changing the sheets one at a time. Select cells and change the text to upper case, with one click. This is the tool kit that you've been looking for. Fill blank cells, clear filters in selected columns, change case in selected cells, and more. Show or hide gridlines, headings, scroll bars, tabs, and more. 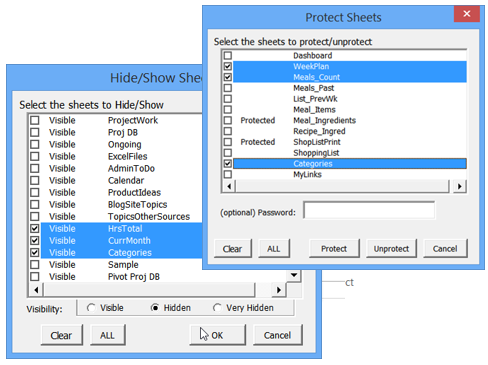 Show or hide multiple sheets, add or remove protection, with password if necessary. Save the active workbook, sort the sheets, print a sheet list with links, and more. Visit the Contextures website, send an email, or go to the Help Page for this product. Here are a few more benefits of having these amazing Dashboard Tools! You can create a detailed list of sheets, to check for problems. You can make quick backups while you work, to prevent losing your work. You can get ready to print, and set the page layout for all sheets. The Dashboard Tools add-in is licensed to a single user, and copies can be installed on that user's home and/or work computers. It may not be shared with other users. 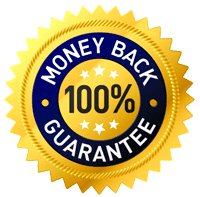 Rest assured that your satisfaction is guaranteed through our zero-risk, 100% money-back guarantee. P.S. This Excel add-in was designed to help you save time while building better dashboards So get this add-in now at this special pricing! Copyright © Contextures Inc. 2017. All Rights Reserved.